How Much Does it Cost to Install an Electric Vehicle Charger? With the electric vehicle (EV) industry now becoming more mainstream, lines of professional service work are seizing the opportunity to support this industry which undoubtedly will continue to grow in the coming years. As with most new technologies you’ll find that service providers exist along all points of the spectrum; from the good-intentioned but ill-equipped handyman to the licensed electrician who could attempt to figure it out, all the way up to EV charging station certified installers and specialists who have training in these technologies and the electric vehicles for which they are installed. Due to this wide spectrum of available service technicians, the question of what it should cost to install an electric vehicle charger becomes equally volatile. I had a customer call me the other day who hesitated at telling me he had purchased a Tesla because he feared I would over charge him for the installation of his Wall Connector. He eventually told me he had gotten quotes ranging from $325.00 all the way up to $1500.00 and was looking for something in between, which we were able to help him out with. Do you understand the local and national codes pertaining to EV charger installations? Have you ever installed a charging system for an electric vehicle? What is the best option for charging my car? How long will it take to fully charge? Will it overload my electrical panel? As a homeowner myself, I’m a fan of doing my own due diligence and taking the time to understand the cost factors involved with any sort of project or job. In order to do this with EV charger installations, it becomes necessary to think about some of the variables which affect pricing. With this in mind, you’ll really be able to decide for yourself if the quote is fairly priced or not. Your installer should also be concerned with how awesome your new electric vehicle is, although that won’t affect the cost all that much. Contact Gulfstar Electric to talk with our certified electric vehicle charging installation specialists today! Get in touch by phone at 727-755-1805, through the form below or via email at info@gulfstarelectric.com. Davan Milford is Owner/Operator of Gulfstar Electric. 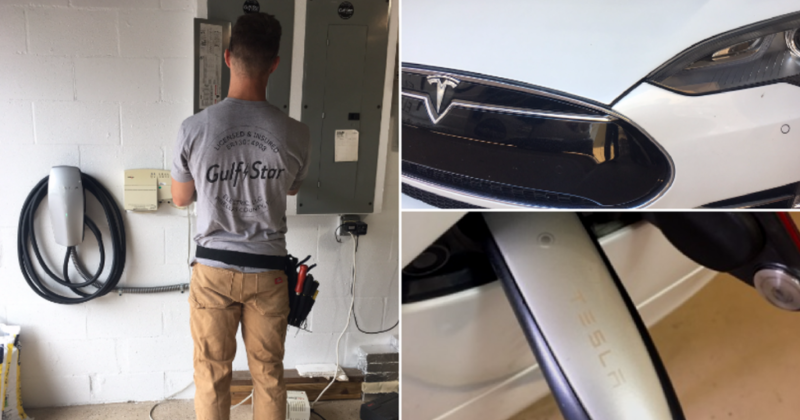 In addition to being a Florida state-licensed electrical contractor with more than 15 years experience, Davan is a certified installer with ChargePoint, ClipperCreek and QMerit as well as a preferred installer for Bosch EV Solutions and Tesla Motors. Very Informative! Thanks for sharing this great information.